Being a designer in a time where social media shapes our design influences is both an exciting and difficult task. With access to inspiration from around the world, a new perspective on trends that may at one point have seemed completely absurd is being realized. For years the market strayed away from out-of-the-box choices and stuck to traditional styles and colours, possibly because it was difficult for clients to envision unique designs in finished settings. Now with the click of a button (or Hashtag) inspiration is no longer limited to local influences. 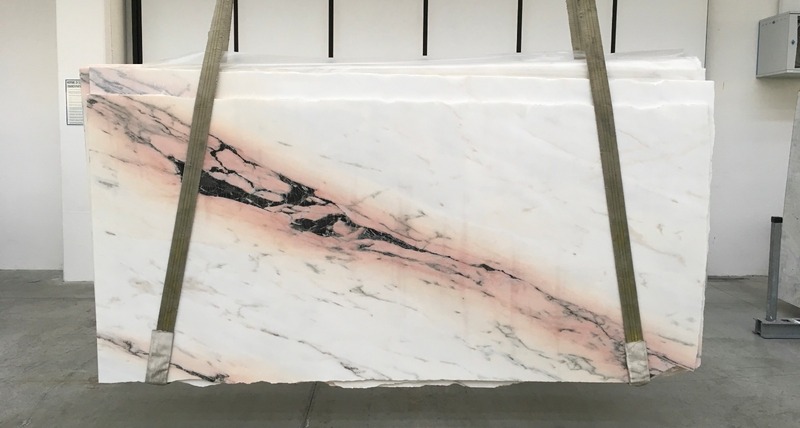 At Marble Trend we couldn’t be more excited about this shift of inspiration. 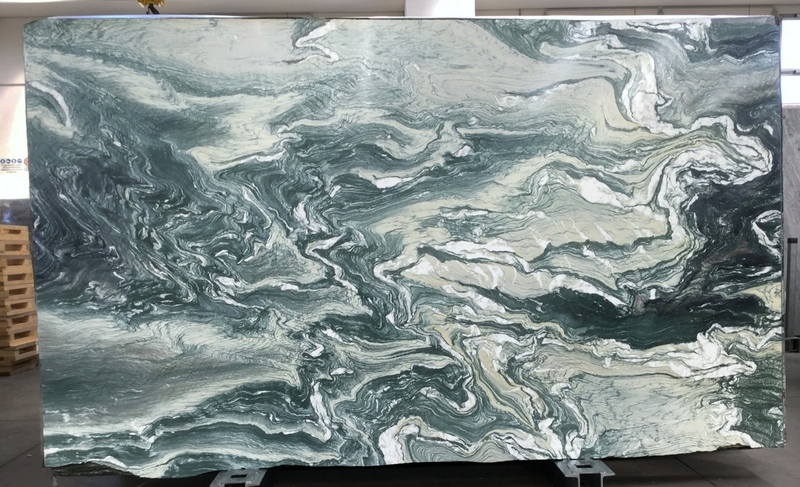 As leaders of the stone industry, we are lucky to have access to the most unique materials that Mother Nature has to offer, and for years these choices were pushed aside. In recent months requests for unique stones has skyrocketed, making way for all of the beautiful materials to finally surface. In kitchen settings, designers are leaning towards these unique materials for bold feature applications such as brightly coloured kitchen islands, tabletops, feature walls and accent backsplashes. In colour trends, our most requested colours have been heavy in the blues, greens and pinks with pops of accents and detailing. From residential kitchens to commercial restaurants, brightly coloured materials are becoming a staple item for product selection. 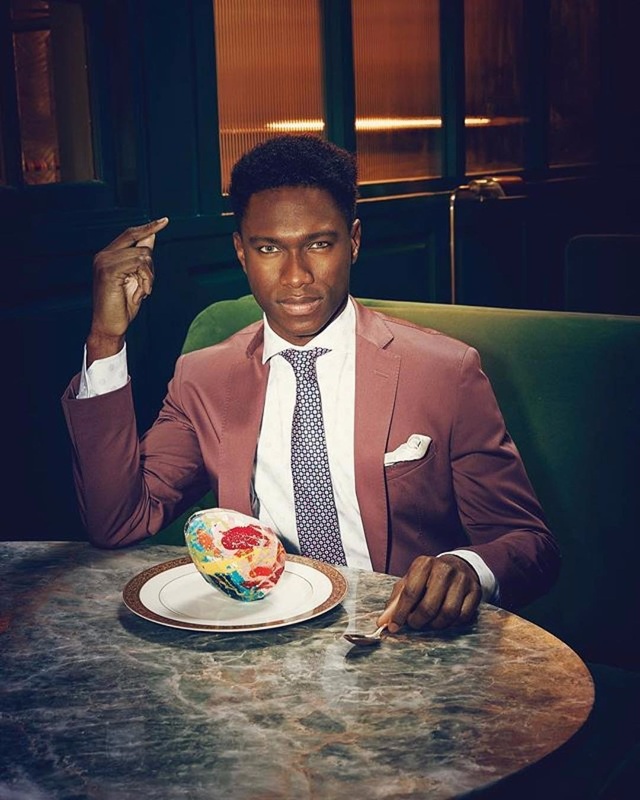 For example, our recently completed project at La Banane Restaurant, Toronto features beautifully unique tabletops made of Cristalino Salome — a bold grey marble highlighting colourful mixtures predominantly of pinks with ribbons of yellows and blues. One of the biggest difficulties for designers in sourcing materials through social media is finding out exactly what material was used in that perfect Instagram photo sent by the client. That’s where a dedicated team of researchers, like ours, come in for designers to help source social media photos and find the perfect match to make design visions become reality. 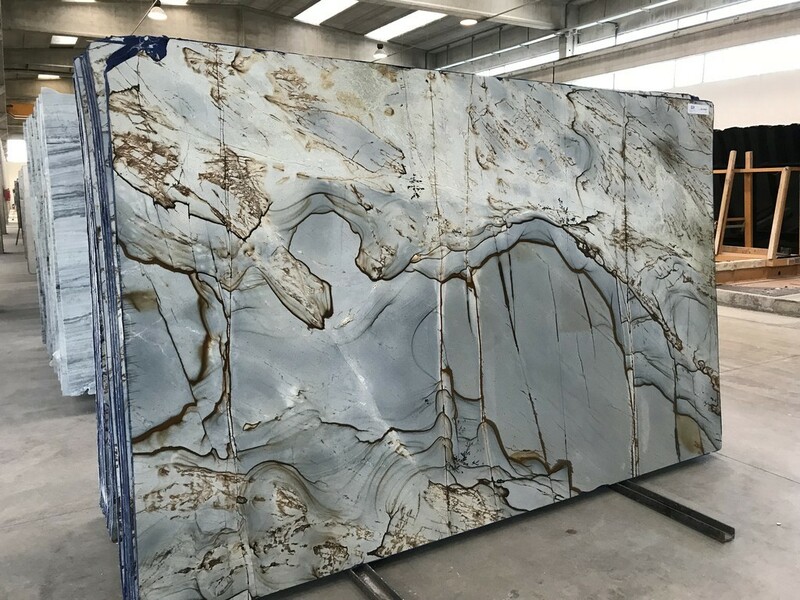 At Marble Trend we make it a priority to conform to market trends and make the best selection of products available for our designers. To adapt to this new and exciting market shift, we have created a new page on our website called Unique Finds where extraordinary materials from around the world are now available to special order. 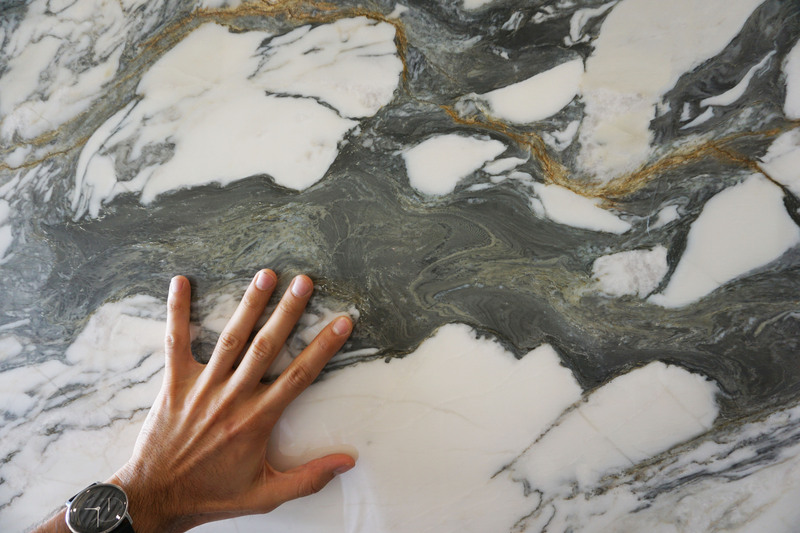 This virtual collection of exotic and prestigious materials is a trusted source for designers to realize that at Marble Trend their designs won’t ever be limited.